Troy received his Bachelor of Music degree from the University of North Texas and Master of Music degree from DePaul University. After serving as a freelance musician and teaching artist in Chicago for a number of years, Troy began his career in community arts education in 2001. Prior to his appointment as Executive Director at the Chicago Center for Music Education he served as Dean of Programs at the Merit School of Music in Chicago and Program Director at the David Adler Music and Arts Center in Libertyville, IL. As Executive Director, Troy is responsible for leadership and oversight of the day to day operations of the school. He has also served as Chair of the Western Great Lakes Chapter and the Members Council of the National Guild of Community Arts Education. In 2012 and 2013 Troy served on the faculty of the Community Arts Education Leadership Institute and as co-convener of the Chicago Consortium of Community Music Schools. After growing up in a musical family and years of musical study and performance, Troy has a passion for human effectiveness through music. Over that last 17 year’s Troy’s focus has been on providing more access and engaging opportunities to people of all ages to participate in music. Gosia received her Bachelor of Music and Master of Music degrees from DePaul University. Prior to serving in the role of Program Director, Go sia served as the Family Program Chair at the school. She is also an active piano teacher at the school as well as the New Music School, and in her private studio. From 2002 to 2013 she worked at the Instrumentalist Company, first as an editor for the Instrumentalist Magazine and later as a writer and editor of Clavier's Piano Explorer Magazine. One of her first administrative experiences in the arts was a summer internship at the Darby Louise Cultural Center in Chicago, which focused on promoting multi-disciplinary work of Spanish artists and spreading cultural wealth across borders. 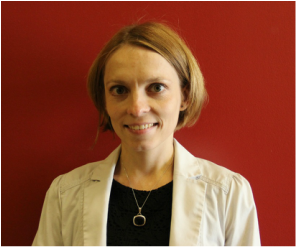 As Program Director, Gosia is primarily responsible for oversight of the school’s programs including maintaining and developing the program content and continuum, providing support and guidance to families enrolled in the program, managing performances and events, and overseeing faculty professional development. Gosia has always believed that involvement in the arts, especially music, provides unequalled opportunities for expression, creativity, and personal growth, and – in the words of Dr. Suzuki – grows beautiful hearts. Gosia’s passion is to provide these opportunities to a broad audience, regardless of background, experience, or economic status. ﻿Jill received her Bachelor degree in Accounting from Michigan State University and a Master of Business Administration from Case Western Reserve University. After spending a number of years in manufacturing and corporate accounting roles in Texas, Ohio, and Pennsylvania, Jill settled in the Chicago area. Most recently, Jill spent six years as the Business Manager of a successful branding and advertising agency. At ChiME, Jill oversees and maintains business operations. These include IT, HR, front desk activities, participant registrations, financials, website, and building maintenance among others. Jill has been active through a number of roles in non-profit organizations supporting music education at the high school level and Drum Corps International. She continues to volunteer her time and talents to DCI Drum and Bugle Corps where she has seen first-hand the outstanding character development that comes from striving for excellence, in both music and life.